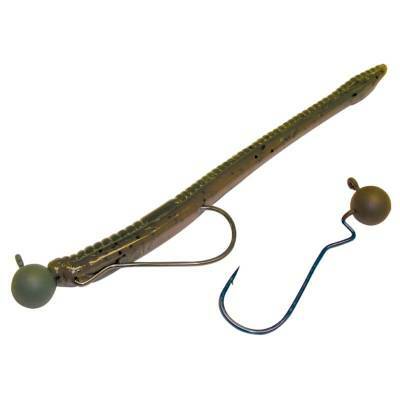 3/0Gamakatsu Skip Gap Head Jigs - 3/0 Pumpkin Green, Loose Packs of 4. Jig head featuring unique bends that hold your finesse worms without the need of barbs or pegs. 3/0 size. 3/16oz. Assorted sizes available.